... and so we do! I can't help but love the season of lights, peace, lots of food and... gifts. Of course, gifts are a fair part of the whole Christmas shabang, but if there's one thing I like more than getting some, it is giving some to others. And that's when the #SonyMusicSanta came in my life! Basically, Sony came up with the idea of spreading some love between online - and throughout the time - online friends. Because yes, of course, as a blogger, you spend most of your time online, but after a while, you meet more and more people offline as well! I mean, you can't go to events and just all be there, standing in a corner of the room, taking pictures of a piece you like and then running back to your little corner? Never enough corners That would be totally stupid. Especially if you imagine this: a whole room, filled with people that have the same passion and interest as you. Sounds like quite some potential friends, no? And thus, over wraps and coupes du champagne, conversations start and friendships start to grow. It's those friendships that Sony wants to celebrate, by creating a chain of bloggers (and accompanying posts) gifting eachother their favorite CD. Charlotte from Aliceroxy was so kind as to gift me Nicole Scherzinger's newest record Big Fat Lies, and I must say, it is the perfect music to forget all your worrying about books and finals. I did choose someone to send my favourite jam of the moment to as well, and I am already looking forward to reading her blog post about it. 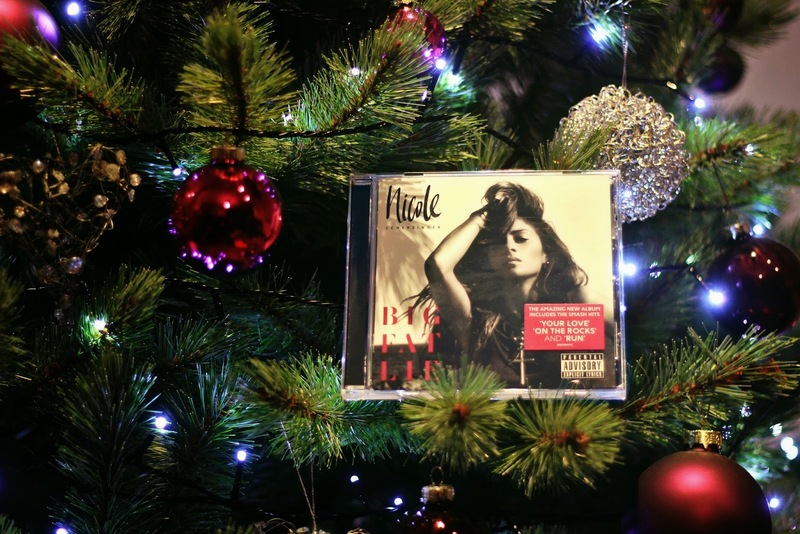 Thanks to Charlotte for thinking of me and gifting me this awesome CD and to Walkie Talkie PR and Sony Music entertainment for giving me the chance to be Santa for one day!